A lot has been said in the press about loosening the noose around full-fat versions of foods we love as new research has trickled out telling us that full-fat foods keeps us satiated for longer, leading to more stable weight management. This has also come at a time where the 1970s ethic ‘If they want less fat, we’ll carve out all the fatty ingredients and replace them with additive and sugar’ reduced-fat versions have become less and less sought after as a “healthier” alternative to the real deal. In light of this research, consumers have shifted the way they eat in favour of full-fat versions, something which is particularly prominent in the dairy aisles. Margarine sales have plummeted in favour of “real butter”, whole milk is increasing its market share against semi-skimmed and skimmed varieties and full-fat natural yoghurts have shown their teeth against fruity, low-fat sugar-laden versions. 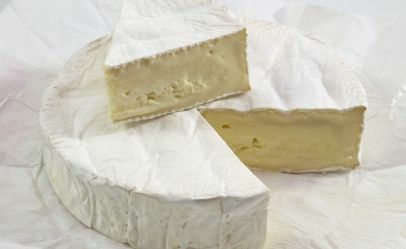 But Nutrilac SoftCheese, the soft cheese manufacturers under Arla, have revealed a new processing technique which sees fat reduced by 50% in their cheese without losing any of its original creaminess. Nutrilac SoftCheese is a whey protein solution naturally found in cows’ milk and is simply added to the cheese milk prior to the pasteurisation stage. Creamy cheeses with added Nutrilac outperformed regular creamy cheeses in a taste test for taste, texture and appearance. So you really can finally have your cheese and save on calories finally, without any horrible product replacements. Instead, all you’re doing is lowering your calorie intake with the same good stuff you always loved. A diet rich with these types of cheeses as well as other healthy fat sources such as nuts, seeds and olive oil will see a healthy weight restored and lessening of cravings. You might even see Nutrilac enriching the supermarket where you shop fairly soon too, as Arla Food Ingredients acknowledged it was possible to include Nutrilac into most cheese recipes without the need for any declaration on the label. So next time you see a “reduced-fat cheese” don’t scoff and think it’s poppycock – it might actually do you some good!